Everyone loves to take their pup to the dog park (presuming their dog, in fact, likes other dogs). They can sit for a minute, and their dog can run around and explore. Dog parks are extremely useful for a number of reasons. Firstly, they often do safely and effectively provide a place to let your dog burn off some energy! And secondly, they help to maintain and often increase a dog’s social skills, which is essential in any dog’s life. A good dog park should have obstacles like a human play yard, to help break up the pack mentality, which can often escalate and become frantic and result in nips or fights. A great dog park will offer things for the dogs to climb on, agility tunnels, trees, big rocks, etc. Don’t use treats or toys when other dogs are nearby. A ball is okay, but not if your dog is possessive of her ball. Don’t play on your cell phone or have a phone conversation while at the dog park. Your dog needs your full attention to feel fulfilled by her relationship with you. Put all your attention on your dog and watch her, talk to her, walk around and intermingle. This will give her confidence in herself, as being surrounded by a pack of unknown dogs can be intimidating. Another reason not to be on your phone is that you will miss the body language signs that indicate your dog is not happy or feels threatened by another dog. Missing these signs can potentially lead to a fight, and a bad experience for your dog, which can start a behavior trend. You should be watching your dog the entire time you’re in the park, and keep one eye on the behavior of the other dogs near her. Don’t bring intact males or in heat females into a dog park. Often intact dogs can cause fights. It’s best just to avoid the possibility at all. Don’t tell other people what their dog is doing wrong, or not to be on their phones, or how to control their dog. As annoying as problem behavior can be, it’s not worth the confrontation that may lead to aggressive human behavior, and in turn trigger aggression in the dogs. Don’t bring an unvaccinated dog to the dog park. Do always pick up after your dog. Pointing out to others that their dog is pooping is okay. They should see it because they should be watching their dog, but of course sometimes things happen and they miss it. Do break up any bullying behavior. This will look like dogs pushing another dog around with their body, or barking in another dog’s face, or nipping at them. Dogs do need to learn appropriate social behavior, and you are perfectly able to help teach them as well. If it is your dog that is the one being the bully, then step right in, and if he doesn’t change his behavior right away, leave the dog park. If your dog is the one being bullied, and the owner doesn’t correct their dog, leave the dog park. It’s better to keep your pet safe! Do just nod and say “I see” when people try to give you advice about your dog. And go home and do your own research. Many people have ideas about how to train and care for dogs, but you have a responsibility to your dog to do your own research and follow expert advice in all things. Do leave if there are too many dogs at the dog park and the energy seems a bit loud and frantic. Your dog can greet other dogs on your walks to get the social interaction they need. 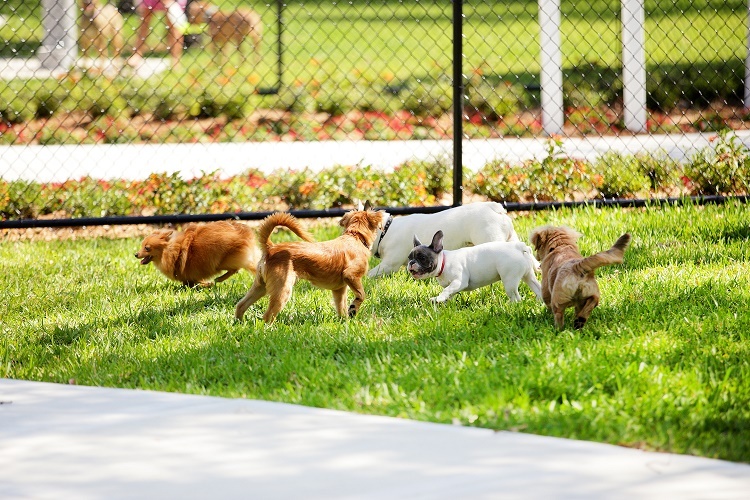 Do join your local Friends of the Dog Park group and help to improve the dog park in your community to better serve our four-legged companions. Most of all, do enjoy the bonding time with your dog!